If a business is growing and needs capital to aid that expansion, what is the best option for that business? 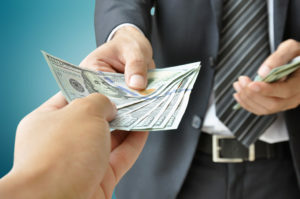 Would it be a business cash advance or an asset-based loan? The main difference between the two would appear to be the use of collateral by the asset-based loan, as the business cash advance does not need a form of guarantee to assure a return. The expediency in which the cash advance takes effect also seems quite evident, as it is a quick one-page application that once approved the funds are deposited immediately to the account in question. The asset-based loan (ABL for short) is a horse of a different color, and as the name implies involves said business taking it out putting up a source of collateral. This will usually be machinery or equipment, company products, goods, and real-estate. A sudden influx of money may seem like a dream come true for a growing company, but something critical to remember about a business cash advance is the max amount, which is usually around $500,000. To counter this, an ABL can reach up to $20,000,000. Where one obtained quicker and without the company’s current goods, or potential profits put up immediately, the alternative does provide the business with much more in the way of funds to utilize for growth. Factors considered, becomes the amount of interest accumulated from each. 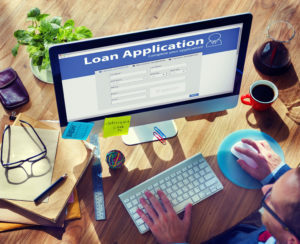 An ABL has the smallest loan interest possible’ while the cash advance has more flexibility when it comes to pre-existing bankruptcies and no additional fees other than interest. Therefore, make sure both forms of revenue reinforcement become examined, and the one that best matches the company’s needs become made. In addition, AmeriFactors offers top-tier associates skilled in understanding what form of funds, be they a business cash advance or an asset-based loan, best suits the needs of small businesses seeking to expand their horizons. Therefore, for any information please feel free to contact us at 1-800-884-FUND.